JDP offer the engineered concrete solution with the look of natural stone – which is much more than a retaining wall. 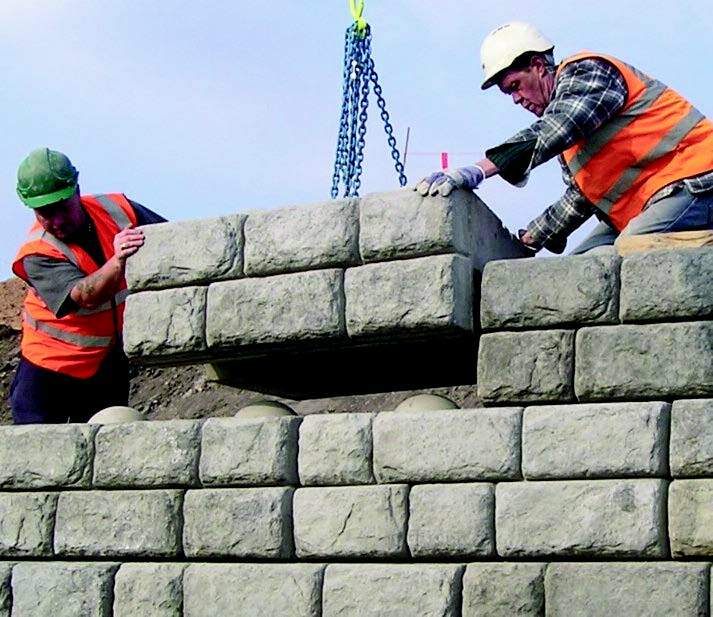 At the heart of the Redi-Rock product range is an innovative, engineered, interlocking, instant retaining wall system, versatile enough to achieve height without comprising strength. This dry walling system is designed for use in any landscaping project. Ideal in situations where space is limited, fast to construct in all weather conditions and allows flexible programme scheduling.